The first book of paintings ever published on one of America's most historic and beautiful places! 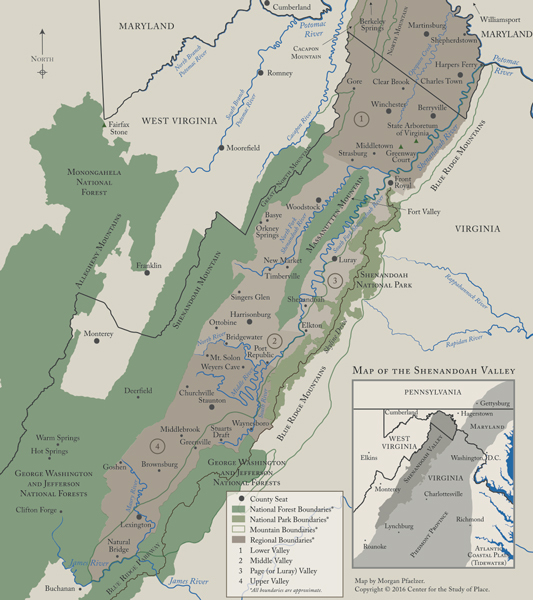 The Shenandoah Valley is one of the most revered places in America and even the world. Mention it to anyone or say you live there, and the response is invariably, "Oh, it is so beautiful!" Images of its scenic beauty have resonated throughout its history, and even today it is seen as a modern-day idyllic landscape of farms and fields, historic towns and Civil War battlefields, framed on the east and west by the majestic and colorful Blue Ridge and Allegheny Mountains and defined, as well, by the river made famous in the 1882 song, "Oh, Shenandoah." Andrei Kushnir, a well-known and highly regarded painter in the Washington, D.C., area, has spent nearly a decade traveling throughout every corner of the Shenandoah Valley, painting its myriad landscapes and architectural features with panache and an extraordinary appreciation for place. Kushnir has that rare ability to paint any landscape before him—pastoral or industrial, recreational or social, rural or urban, riparian or agricultural—all the while working out in the elements, en plein air. No artist has ever captured the Shenandoah Valley and its famous river so comprehensively, so intuitively, as has Andrei Kushnir. 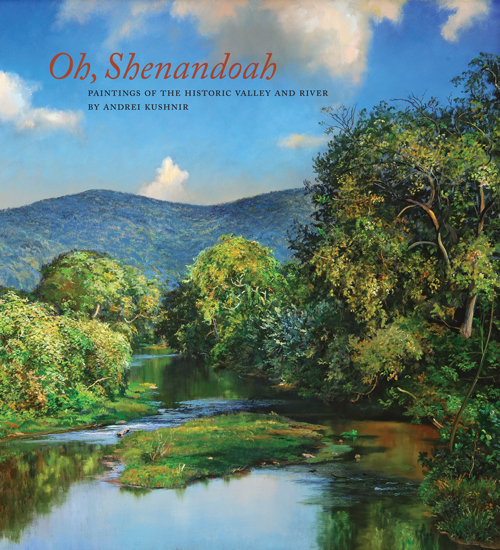 In addition to Kushnir's 264 plein-air paintings that are featured for the first time in this book, Oh, Shenandoah presents in-depth essays by leading experts—Edward L. Ayers, Dana Hand Evans, Jeffrey C. Everett, Warren R. Hofstra, and William M. S. Rasmussen—who add a rich, contextual element about the Valley's history and geography and Kushnir's significant contribution to our understanding of this special place. This book, which complements landmark exhibitions of Kushnir's Valley paintings at the Museum of the Shenandoah Valley and James Madison University, is a publication that will endure for generations to come. Read an interview with Kushnir in the museum's magazine (pdf). Read an article about the exhibit here. November 29, 2017 from 5:30-8 p.m.
Monday May 1, 2017 from 5-7 p.m.